Happy New Year, everybody! I guess we're purging the old appreciation threads for the new year, so here we go again. Time to celebrate the greatest winged warrior in all of comics, Hawkman! 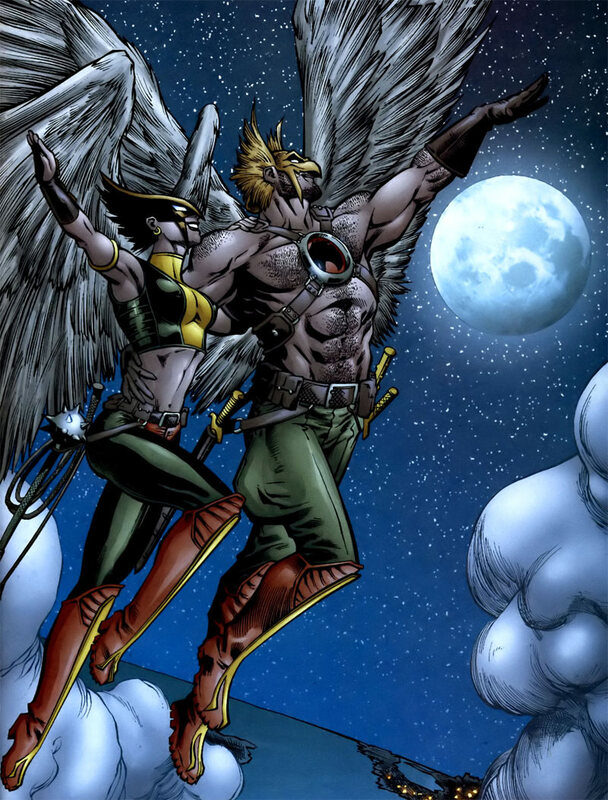 Be it Carter Hall, Kator Hol, or anyone else who's used the moniker, feel free to share your favorite pictures, stories, quotes, and anything else Hawkman-related in this very thread. As always, have fun and keep it civil, everyone. Now let's soar into the new year! Last edited by Hawkman; 01-01-2019 at 08:12 PM. Hawkman is awesome and I'm enjoying his current solo. I hope we get to see more of him in 2019. Happy New Year to Hawkman and all his incarnations, as well as Hawkgirl and their fans . venditti seems to be doing well with hawkman. there's a story somewhere for an epic movie in the current series. I first saw Hawkman alongside Captain Marvel in Superman Batman Vol. 1 Public Enemies hired to hunt down the title characters. Not much I can say about my impression back then. All I can think was Captain Marvel still feels like a superhero but Hawkman feels more violent, like an anti hero. A Wolverine or Batman type of character. 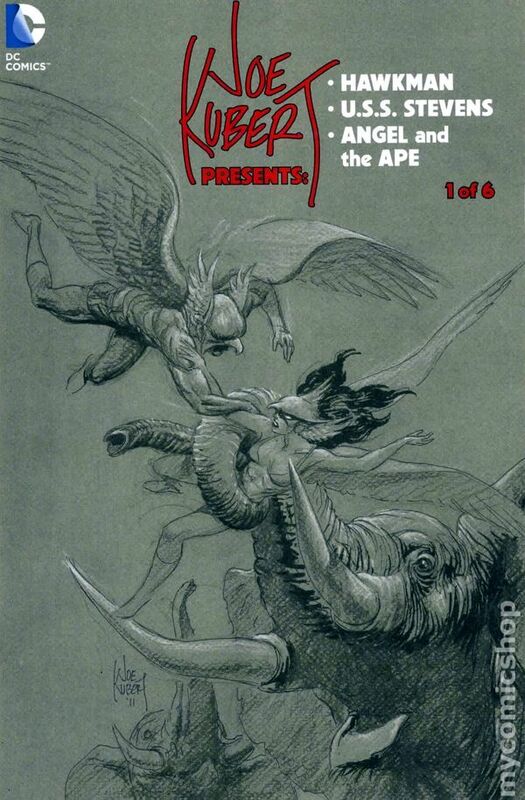 Are we really trying to christen a new Hawkman thread without a Joe Kubert piece on the front page? For shame! This often overlooked mini contains Joe's final Hawkman work. That was an interpretation imposed on the character in the 1990s. It's like he wasn't edgy enough for the times. DC published a sort of alternate origin story for him in 3 issues called Hawkworld that sold pretty well. So DC doubled down on that take, then tried to reconcile it with other versions, and the character never really recovered. The new version is better than anything we've seen in years, but still has some problems of its own. In the original 1940s run, Carter Hall could be intense, but not really a Wolverine-esque type. The 1960s-1980s Katar Hol (never a JSA member) was a space cop and scientist. The logic behind him using archaic weaponry was a bit strained, but it was almost like he enjoyed the fun of it. Late in the 1970s, JLA writers often gave him heavy, order-centric political views in contrast to Green Arrow so the authors could debate concepts through them, but again, not really a barbarian type. In his revived 1960s-1980s appearances, Carter Hall was always a JSA elder statesman type. Hawkworld's Katar Hol of the early 1990s was definitely a hardened character (they kind of Count of Monte Cristo'd up his back story), but still more libertarian idealist than Savage. Now after they did all that Hawkman blending in the late 1990s-early 2000s (still gives me brain aches merely to think upon it), that's when all this hairy chested Winged-Conan stuff seems to have come in. I've been hearing great things about the new series and I'm interested in checking it out. Just want to know if its really important to read Dark Nights Metal before starting on this series or if I can just jump right in. Given that the DCEU seems to be having a bit of a renaissance with Aquaman these days, and since Superman and Batman seem to be taking a bit of a back seat, I do wonder what Hawkman's chances for a big-screen adaptation are. Or for that matter, Hawkgirl's chances. You can just jump.into the new series. Metal just tells us how Carter came back but you can skip that if you want. I was thinking the same thing as far as the movies. Batman and Superman didn't do too well. And WW and now Aquaman did great, and hopefully Shazam will do well also. It will get Warners out of just making Batman and Superman movies and giving other DC heroes a chance. Hopefully Hawkman will get a chance as well now that they see you don't need to be a big name to be successful.